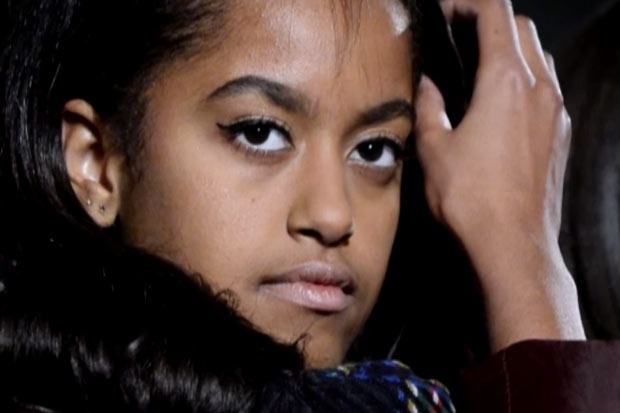 A few weeks ago, Malia Obama was at the centre of an internet tug o' war – some were chastising her for smoking and others were defending her. Recently Malia attended another music festival where she decided to take matters into her own hands. She was sporting a Harvard peak cap and a printed t-shirt which ironically stated "Smoking Kills" and of course, some people lost their minds. Malia was filmed smoking while attending popular music festival Lollapalooza at the end of July. Many people had a lot to say about the First Daughter of America and some were even blaming her parents for poor parenting skills. Now that Malia has worn this printed t-shirt, some have dubbed her as petty, others are saying her parents are punishing her for her poor decisions, and others still are saying she is the queen of clap-back. Regardless of the furore and flack, many are on #TeamMalia and agree that the teen should be left alone to live her live like any other teen would. Also shout out to Malia Obama being the 18 year old my 18 year old self wished she was ??? Another point of discussion on the internet is the company Malia chooses, because another photo has surfaced of the teen being in what could be considered a compromising situation. The teen isn't smoking, but those who aren't accusing her of being a reckless pothead, are advising she rethinks who her friends are and chooses them wisely. The image appears to be taken without Malia's knowledge and displays a rather large glass cylindrical object, better known as a bong, which one would use to smoke flavoured tobacco or marijuana. Some have taken to social media to share their disgust in the people who Malia may have trusted as friends. There was speculation that the First Lady and President made Malia wear the t-shirt as a form of punishment. What do you think? Would you do this to punish your child? Send your thoughts to chatback@parent24.com.